Why are people forgotten? How can you ensure your legacy will be remembered throughout time, and that your work meant something? These are the questions conjured by Luisa Sequeira’s intimate love letter to a pioneer of female filmmaking. WHO IS BARBARA VIRGINIA? 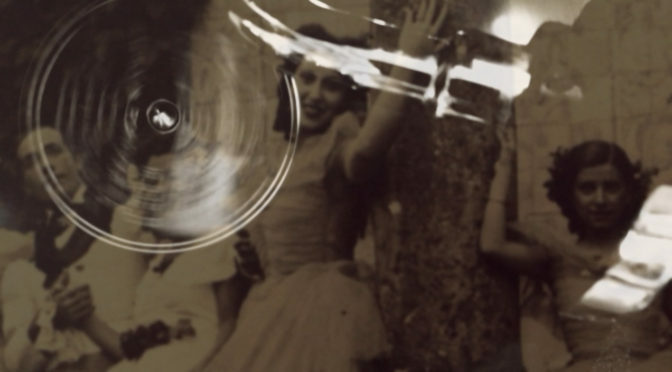 aims to rediscover the life and work of the first Portuguese female director to make a feature film with sound, and the only one to do so during the fascist dictatorship of the era. The silhouette of a stranger walks through a dark room, turning her back to the viewer as she stares out of an open window into the light. Next, her black and white photograph is studied by the camera, hovering over her facial features in close examination. The photograph flickers out of focus, her face transforming into a pale, unidentifiable shape – a ghost forgotten by the world. Lost in time, the multitalented Barbara Virginia is unfortunately unlikely to be a name familiar to most audiences. Releasing TRES DIAS SEM DEUS at just 22 years old, she was at that time the world’s youngest female director, and the first to be selected for competition at the inaugural Cannes Film Festival in 1946. It is at once quite remarkable that such an achievement is not more widely known and yet unsurprising that Virginia is omitted from an industry that largely remains a ‘boy’s club’. Clearly a labour of love, Sequeira’s film reveals Virginia’s legacy. By tracing the main events of her life, the work takes a conventional approach, with the script straying into biopic territory rather than delivering a complex study of Virginia’s work or why she was so easily forgotten in history. Professional interviews are used sparingly, with the bulk of the film devoted to Sequeira’s own narration and old recordings of Virginia herself. That is not to say there isn’t significant artistry present. Sound recordings crackle at times with age, contributing to a ‘home movie’ aesthetic and bringing greater authenticity to Virginia’s words. Archive footage – including segments of Virginia’s filmography – and an abundance of photographs are wonderfully edited, providing clear insight to Virginia’s personality and creating a sombre atmosphere at times. Sequeira’s sadness towards the ignored filmmaker shines through. 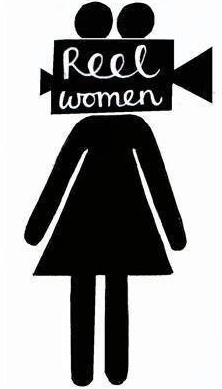 This is not simply a celebration of success but an important reminder of how easily women are often dismissed within the film industry. TRES DIAS SEM DEUS is quoted onscreen by Filmagem with the ridiculous statement referring to it as ‘the first proof of women’s value to our cinema’, ignoring women crucial to the medium’s success since the dawn of cinema. Much insight can be gained from hearing Virginia’s impassioned words. She tells an interviewer, “Don’t forget I am still a child.” Yet she seems to possess an astute knowledge of the industry, and by 22 was already a skilled director, actress and musician. She knows how to handle an interview, and when not to answer questions which may entrap her in criticising propaganda films of the dictatorship. She has a direct, nonconformist attitude and stresses the importance in being allowed to make mistakes and grow. She labels the notion that women cannot direct a war movie ‘stupid’ and that anyone can tell their own ‘truth’. Her attitude is completely endearing and entirely relevant today. It is ironic how Sequeira set out on a mission of remembrance, yet her objective is constantly hindered. Most of the aforementioned film has been lost. Flicking through pages of a magazine, she finds Virginia’s indistinct picture on the back of a page broadcasting icon Marlon Brando. She fails to conduct an interview with the underdog director before her death on the eve of Women’s International Day. It seems time is still working against Virginia. WHO IS BARBARA VIRGINIA? is not a complicated film, but it has a lot of heart and a visual flair that makes it feel personal to watch. The time spent with Virginia is enjoyable, and she deserves to have her story told. The film tells us that all she wanted was to be remembered. Sequeira’s work could go some way to achieving that goal. WHO IS BARBARA VIRGINIA? 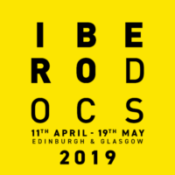 screens as part of IberoDocs 2019 in Edinburgh on Friday 19th April, 6pm. Book tickets here.